Mistake: I was so reluctant to sell a stock that I turned what should have been a minor loss into an enormous one. In the late 1990s, I invested $50,000 in Bibb Manufacturing Company, a century-old ­textile maker that produced bedding and towels for Walmart and other retailers. I had studied the company for months and thought it was a bargain at $12 per share. But something unforeseen happened. The price of cotton soared, driving up costs for textile makers. The stock dipped below my purchase price, but I wasn’t going to be deterred by a little volatility. At every leg down, I didn’t want to admit that I was wrong or turn a loss on paper into a real one, so I came up with sophisticated rationalizations to hang on. By the time I dumped the stock at $6, half my investment was gone. The company never ­recovered, went bankrupt and was taken over by a competitor. Lesson learned: Don’t make exceptions to a valuable rule. The rule that I violated: When a stock falls 10% below my purchase price, I sell it. No exceptions. Why 10%? That’s the point at which you must start gaining noticeably more (12% in this case) than you lost just to get back to even. My rule doesn’t always work out. Sometimes stocks do bounce back strongly. But it guarantees that I never take a big loss, which is what really ruins investors’ long-term returns because it can take so long to recover. Mistake: I wasn’t careful enough when I took the required minimum distribution (RMD) from my IRA—and I had to deal with a 50% penalty. A few years ago, I decided to use the money from my RMD, which I’ve been taking since age 70½ (as required by IRS rules), to contribute to my favorite charities. I was careful to follow the rules, requesting that my IRA provider send me nine checks payable to nine different charities. I mailed the checks to the charities well before the deadline of December 31, but I didn’t notice that one charity never sent me back a receipt. In February of the following year, I received a surprise notice from the IRA provider. It turns out that one of the charities had never received (and therefore never cashed) its check, and my IRA provider had added the amount of the check back to my account. That meant I had a shortfall of $500 in my RMD for the year just ended. I quickly got a new check and resent it to the charity, but by the time I did that, I owed the IRS a $250 penalty. Lesson learned: You can’t rely on your financial adviser or brokerage to make sure that you take the correct RMDs from your IRAs and other retirement accounts—or even to tell you if a requested distribution somehow fails. You should always do a final review in late December to make sure you are in compliance. Good news: The IRS gives seniors a break if an RMD mistake is deemed to be legitimately beyond their control. (For directions on challenging an RMD compliance penalty, go to IRS.gov and search for “IRA Required Minimum Distributions FAQs.”) I appealed my penalty on the notion that a check sent through the US mail should not have failed to arrive. The IRS agreed, and I did not have to pay the penalty, although it cost me months of letter writing, documentation and aggravation. 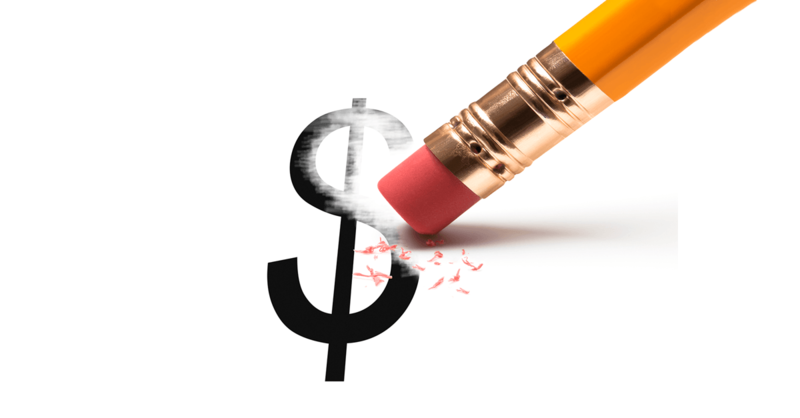 Mistake: When I gave a close family member a large loan, I thought I was being smart by drawing up a promissory note—but I never considered what I would do if the family member couldn’t pay me back. A relative approached me for a six-figure loan he wanted to use to buy some property. I’m well aware that big loans should be made “official” even among family members, so we went to an attorney and signed a formal loan agreement that said he would pay me back over three years at 6% interest. Unfortunately, my relative got sick and wound up in and out of the hospital for two years, unable to make even minimum payments to me. Even worse, he couldn’t afford to pay the municipal taxes on the property and was at risk of having it confiscated by the city. I had to shell out another $20,000 just to cover his taxes. With the interest and principal payments, plus the additional property-tax loan, what he owed me ballooned. But I wasn’t about to ruin relationships in the family by taking him to court and winning a judgment. My three-year loan has now turned into a 12-year loan that may never be fully paid back. Lesson learned: No matter how businesslike you are, it’s not smart to loan money to family and friends unless you will be OK both financially and emotionally if you are not paid back. A study by Lending Tree found that people who lend money to their relatives get back an average of just 57% of the amount loaned. Mistake: I bought a house for the wrong reasons. When I took a new job in Missouri in 2016, I wanted to take advantage of low mortgage interest rates before they might rise. I also wanted to avoid the expense and bother of putting my possessions in storage and having to do a major move twice. Under time pressure before starting the new job, I chose a home after only two days of looking. The professional inspection turned up problems, but my real estate agent convinced me that the issues were minor. I convinced myself that they were manageable because I wanted to feel settled and secure. The house turned out to be a money pit requiring tens of thousands of dollars in repairs. Lesson learned: For much of the past decade, buying instead of renting seemed like a no-brainer. But renting can be more financially efficient in the long run if it gives you the time to do a thorough search and evaluate the realistic costs of owning a home. Recently, rising mortgage rates and high home prices in many areas have made the decision to buy an even more complicated one. The monthly costs of buying and owning a home are up 14% over the past year, more than three times the annual increase in rent rates nationally. Mistake: I got an exciting stock tip from a trusted friend and invested without doing my own research. Back in 2010, I invested in a ­Toronto company called Element 21 that dealt in rare-earth metals. These little-known industrial metals are essential components in electric cars and missile-guidance systems. My friend, who was a very successful businessman, told me that rare-earth metals stocks were about to soar. I was so intrigued that I bought nearly $12,000 worth of shares. But it turns out that Element 21 was a sports-equipment company focused on developing golf clubs using alloys of a rare-earth metal called scandium. Scandium never did revolutionize the golfing industry…and I lost 95% of my investment. Lesson learned: Do your own research about a stock before you ­invest—even if someone you trust says that it’s a good bet. At the very least, do an online search on the company, read some professional analysis of the stock and understand what could go wrong if you invest. This lets you judge the risk you are taking and whether that risk aligns with your personal goals and needs, something that well-meaning people who feed you stock tips may not be considering.